Dr Zhao Jingyuan joined NTUC Link in July 2017 as Director, Link Analytic Centre. She is also heading NTUC Group Advanced Analytics Center. In this role, she is responsible for building data science capabilities for all NTUC Social Enterprises, driving business analytic solutions, and developing a core digital analytic centre. Jingyuan has worked in the data science sector across different industries over the last 10 years, which includes stints in research institutes, market research, Telco and E-commerce companies. Jingyuan comes to us from Lazada where she was the VP, Data Science for the e-commerce platform in the southeast Asia region. 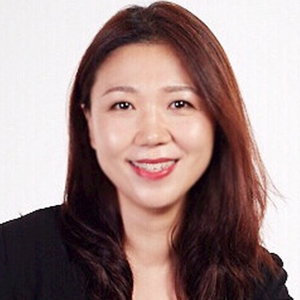 At Lazada, she led a team of business analysts and scientists, building leading edge techniques and business solutions to improve personalized customer experiences, help brand and partnership growth in digital markets, and build innovative and scalable data products for internal and external parties. She brings a unique mix of experiences in data analytics, data monetization and business strategy. Jingyuan holds a Ph.D. in Statistics from the National University of Singapore.